The dairy market in Taiwan has been made up of between 136 and 141 companies with a total of around 7,000 employees in recent years. According to the Department of Statistics, Ministry of Economic Affairs, the output value of Taiwan’s dairy market in 2011 was NT$26.957 billion, an 1.142 percent increase on the previous year. The growth rate of sales value and export value also progressed little, achieving a growth rate of around 1.5 percent. The importing sector in the dairy market in Taiwan showed the most robust improvement. In 2011, the total import value reached NT$20,011 million, an increase up to 11.7 percent on the previous year. This is mainly because the dairy market in Taiwan does not produce cheese, butter, milk powder or whey in commercial quantities. Thus the blank is made up by importing from other countries. The dairy market in Taiwan can be divided into six product categories, including fresh milk, milk powder, flavored milk, fermented milk, ice cream and other dairy products, which owns a tiny market share. Fresh milk has been widely accepted as the most traditional source of protein, and is also the main raw material used in making other dairy products. Thus it has the highest ratio of sales in the dairy market in Taiwan, increasing from 53 percent market share in 2007 to almost 60 percent in 2011. Milk powder has the lowest ratio of sales value, accounting for 1.85 percent of the sales value. This is mainly due to the low birth rate and the increasing popularity of the idea of late marriage in the young is promoting this trend. As for other categories, flavored milk, fermented milk, ice cream and other dairy products owned a sales ratio of 12.92%, 13.94%, 6.88% and 4.59%, respectively. After decades of rapid economic development, Taiwan has become one of the developed regions in the world. The industry structure also evolved from a mere manufacturing processing center to a high-tech based economy. The technologic advancement it made also benefits the dairy market in Taiwan, which enables firms to produce dairy products at a lower price and of higher quality. 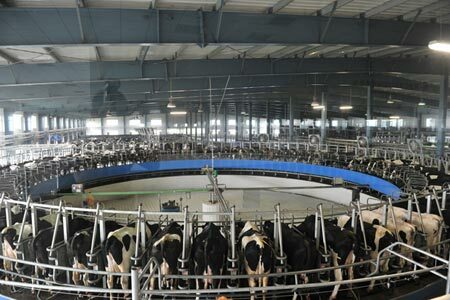 Taiwan’s dairy industry also has a solid foundation in Mainland China. The extremely large market nearby provides a great opportunity for expanding the dairy market in Taiwan. Also, some international firms regard the market in Taiwan as a step stone to enter the market in China due to difficulty of directly investing in this country. So the geographic proximity attracts the international attention.